The modern contact manager requires a lot of skills to be successful. A melting pot of balancing customer expectations, internal stakeholders, technology, data, employee management is no easy task. They also need to provide leadership, be tactical and strategic in their decision making, make complex decisions based on data and have high levels of emotional intelligence. Don’t ask for much do we? We’ve designed an array of CX and contact centre manager training courses to provide the education, support and guidance you need no matter where you are at in your CX/Contact Centre journey. CX or Contact Centre Team Leaders preparing to make the next step. Current managers who would like to brush up on their skills. The executive who has accountability for CX and/or contact centre channel. All of our courses have been designed, and are facilitated by, experienced Contact Centre managers with decades of real operational experience. We have a range of different courses with the following concepts typically forming part, or all of the courses. The science of contact centres – We teach proven contact centre concepts including proven formulas to calculate workload and staffing requirements. 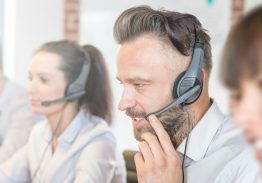 How contact centres work -Understanding the operational dynamics and processes that create an effective and cost-efficient contact centre. Leadership & Engagement – At the heart of every contact centre is people. Knowing how to lead and engage your team is critical to ongoing success. Cost Efficiency – Understanding the drivers of costs in a contact centre and ways you can deliver more for less. Quality Management – The tools, processes and methodologies required to deliver a quality customer experience.